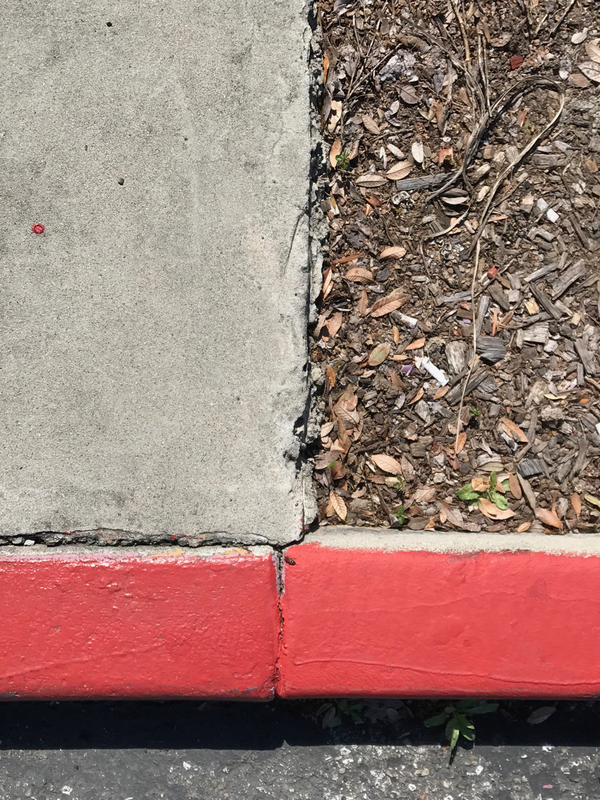 This entry was posted in Personal Stories and tagged abstract pattern, abstract photography, art, artistic expression, colored curb, curb, found art, photography, street photography, visual art. Bookmark the permalink. There is something about this one that I find very metaphorical. What metaphor does this suggest to you? I naturally thought of the natural world vs. the man-made, and then I thought of ideas that fall on soil vs.those that fall on concrete and can’t sprout; also for some reason the old idea about how you could go to the edge of the earth and fall off (in this case leave the organized and sterile concrete surface and go into the wilds of the dirt). Well, I could go on and on, it really made an impression on me of there being two realities colliding, or coexisting, or neighborly. Thank you, Claudia. I’m glad the image was so evocative. It was neutral enough to allow for interpretation yet not too bland.